Christopher Scott Kyle was born on 8th April 1974 in Odessa, Texas USA, and died on 2nd February 2013. He is known to the world as Chris Kyle, The American Sniper. He is also a former American Navy SEAL; in 2009 he was honorably discharged from the army, after serving four tours in Iraq. He published his autobiography after that, “American Sniper”. His career includes more than 160 kills with a sniper rifle, which made him the most lethal sniper in USA military history and earned him numerous personal awards.His military career had lasted 10 years, from 1999 to 2009. Have you ever wondered how rich Chris Kyle was before he died? 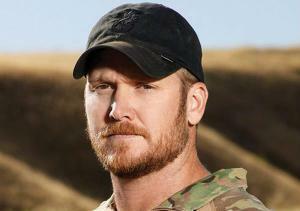 It is estimated that Chris Kyle`s net worth was $2 million. His autobiography became a bestseller, and after his death it was made into a film adapted and produced by Clint Eastwood. Chris Kyle was raised in Odessa, Texas; his love with rifles started at the age of eight, when his father bought him his first rifle, a bolt-action .30-06 Springfield rifle. Following that, he purchased a shotgun a few years later, which he used for hunting animals, as he was living on a ranch in Texas. He graduated from Midlothian high school, following which Kyle became interested in professional bronco rodeo riding, and he managed to become a rider, but his career ended soon after it began, after an injury to his arm. His net worth was only moderately increased. After recovering, he went to a military recruiting camp; he was interested in joining the U.S Marine Corps, but was later forwarded to the US Navy SEAL camp. He was turned down initially because he still felt the consequences of the injury; however he eventually succeeded in receiving an invitation to the 24-week Basic Underwater Demolition SEAL School in 1999. He was later assigned to a sniper team, within the Special Navy Warfare Command; he served mostly in Iraq throughout his entire career. His first kill as a sniper, was a woman carrying a hand grenade in her hand and approaching a group of marines. This happened on the initial invasion. The military salary and bonuses earned by Chris substantially increased his net worth. Chris was deployed to Ramady, and because of his skills and successful shots, he was called “The Devil of Ramady”. The rebels even put a bounty on him, firstly for $21,000 but the amount was later increased to $80,000. In his book, Kyle depicts his many made shots, which includes his longest shot, made from 2.100 yards: he shot a rebel, who was trying to fire a rocket propelled grenade at a US army convoy. During his 10 year military service, Kyle earned the status of a national hero, surviving two shots and four different explosions in his tours in Iraq. His skill and patience earned him two Silver Star Medals and five Bronze Star Medals and several other commendations, from the Navy and also from the Marine Corps, for heroic acts and meritorious service in combat. His book – “American Sniper: The Autobiography of the Most Lethal Sniper in U.S Military History” – became a bestseller, which increased his fame and also his net worth, as did his celebrity status and therefore public appearances. This book was made into the film adaptation “American Sniper” after his death, in 2014. Before his death, he founded a non-profit group, “FITCO Cares Foundation”, which supplies equipment to military veterans who have severe wounds from the war. In addition he founded Craft International; it is a security company, which also added to his net worth before his death. Chris Kyle died on 2nd February 2013; he was at a gun range in Texas. His killer was an ex-Marine, Eddie Ray Routh, who was training with Kyle in the shooting camp; however, Routh was disclosed as a person with a history of mental illness. Kyle had left behind his wife, Taya, and two children.